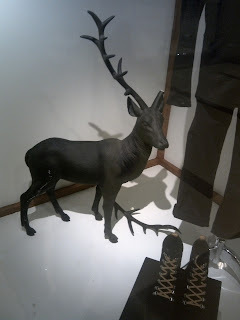 Another dark mood window display is found at the recent arrangement of The Goods Dept. Black dresses, black shirt-dress with black slip dress inside, black suit, black shoes, black reindeer, and the black wordings are the main dominant sighting when you look at this window display. 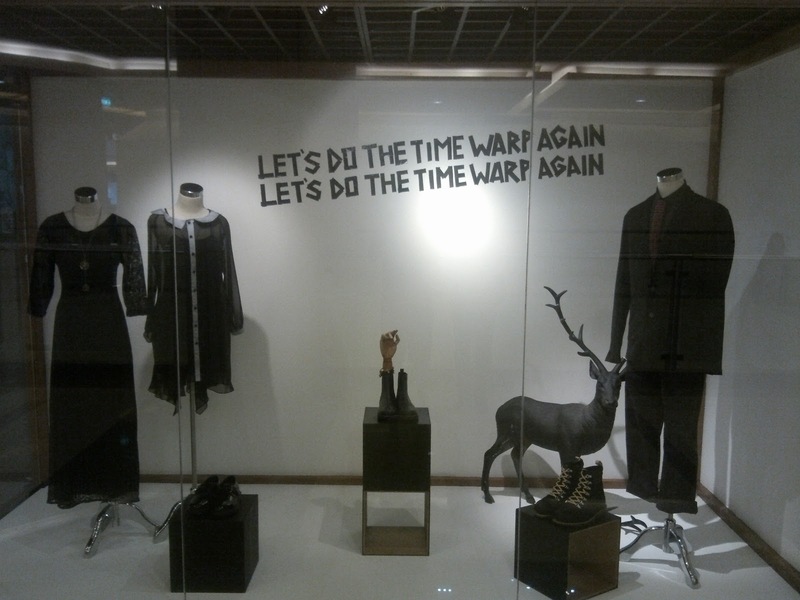 On the wall, there are two sentences of 'Let's do the time wrap again' that is confusing me for the meaning and the connection with the display. Another confusing matter is about the broken horn of the reindeer, is it purposely broken or not? Simple display but sophisticated and mysterious. Labels: Pacific Place, The Goods Dept.